Updates to Barry's profile since your last visit are highlighted in yellow. Kevin (1972) Married Annette lives in Tallahassee with 3 kids, Kris (1974) lives in Jacksonville and More…was wed on Sept 21,2013, Jill (1976) married Mark lives in Opp, Al with 4 boys, Kyrah (1979) married Jon and live in Montgomery Al, with 3 children. The fact that my children love me and stay in-touch, is One of my Greatest Blessings. 2 Years, Capt. Army, Medical service Corp.
2yrs BCC, 3yrs Illinois College of Optometry, 2yrs Army Medical Service Corp (Captain), Moved to Ft.Laud and work with my father Optometrist for 10yrs. Made a Big move to the Fl Panhandle 34 years ago and started my Optometric practice in Blountstown. Blountstown is a small town in the rural Panhandle of Florida. I Love it up here. I am Blessed, this last March 2013 I beat prostate cancer, I'm healthy, happy, and love life. One of my goals in life, is that my Classmates might come to know Jesus as Savior and Lord of their lives. Have a favorite school story? Funny memory? This can be used for anything you'd like to share. Riding with Bill Shirey in his Mom's car to a football game at Lockhart Stadium, we wanted to avoid paying to park and thought we knew a back way to the stadium. So we are riding down a back road with the lights turned off to avoid detection, we missed seeing the cable stretched across the road until the cable snagged the hood ornament and ripped it from the hood. How do you explain that to Mom? Barry Edewaard has a birthday today. Barry Edewaard posted a message. New comment added. A day late, but still wishing you a Happy Birthday + 1day. I have a friend Courtney Cheri from the class of 61 in Slidell. Hope to visit You and Courtney plus WWII Museum this year. Do you know a Campground close to Slidell. Barry Edewaard posted a message. Happy Birthday Virginia, I trust life is good and you are well. Wishing You a Great Year as you celebrate Another B'day. You finally caught with us old folks. HAPPPYYY Birthday. Did I miss you at the Reunion or did you not come. I see that you were a US Naval Aviator, did you fly over VietNam? Enjoy Your Day, wishing you and your lovely bride a Blessed Celebration. Isn't is Great of Be Able to Celebrate another Birthday. Enjoy it to the uttermost and give thanks. HAPPY BIRTHDAY and Thanksgiving. Happy Birthday, enjoy Your Day and the Blessing of Good Health and the ability to celebrate Your Day. First I want to Thanks those that keep this web site active, I think that it is Mike Harris. Thank you. Dennis "Buddy" Dewar posted a message on Barry Edewaard's Profile. 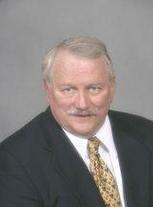 Barry Edewaard added a comment on Profile. I also would like to see Ricky Hokestra again. Does anyone know where Harlold Baker is? I always thought of Harold Baker was a class clown. I remember in 8th grade at the Naval Air station, I put a tack in his seat (think it was science class) and when he sat down he entertained the whole class with his carrying on. And yes, I did get in trouble.